Gillian Sadlier, a Belfast Mum of three, and senior business manager at Bank of Ireland, has secured a much sought-after ballot place in the forthcoming London Marathon. Gillian is pounding the streets in preparation for the big race on Sunday 28 April, when she will join over 40,000 runners for one of the most prestigious running events in the world. 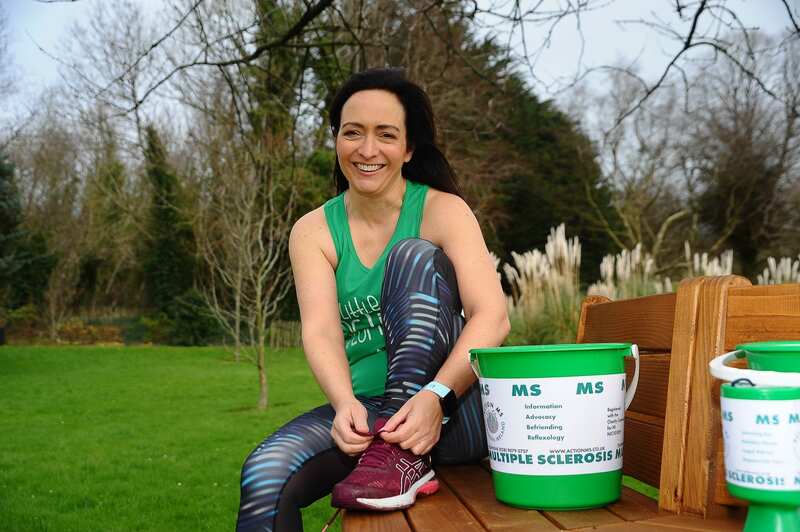 Gillian, a passionate runner, has been inspired by her late niece who had Multiple Sclerosis and has been using her place in the London Marathon to raise funds for local charity, Action MS. Commenting on Gillian’s impressive fundraising effort, Helen Kirk from Action MS, said: “We are delighted that Gillian is supporting Action MS by taking part in this high-profile event. Multiple sclerosis is a disease which attacks the central nervous system. The most common symptom is chronic fatigue. It can be difficult to explain to family and friends as symptoms can come on quickly and there is no way to simply ‘shake it off’. Unlike a marathon runner at the twenty mile ‘wall’, a person with MS is unable to grit their teeth and keep going. Moreover, it is not a matter of ‘digging deep’ and finding fresh reserves of energy, so Gillian’s help in raising awareness of multiple sclerosis is vitally important. Northern Ireland has the second highest incidence of multiple sclerosis in the world, affecting between four and five thousand people. Action MS Northern Ireland is a local charity supporting local people with multiple sclerosis and their families in the local area. It was founded in 1976 – five years before the first ever London Marathon in 1981 – when a small group of people with multiple sclerosis, families and friends decided to do something to fight multiple sclerosis, a disease of the central nervous system for which there is as yet no cure. The London Marathon broke its own world record as an incredible 414,168 applicants registered for a ballot place in this year’s event. The race will cover just over 26 miles, starting in Blackheath and finishing at one of London’s most impressive landmarks, The Mall, just beside St James Park.